A study in the July 2015 issue of the American Journal of Preventive Medicine adds to the growing evidence that the martial art of tai chi is a helpful exercise for older adults. Researchers looked at nine controlled trials, both randomized and nonrandomized, and found that compared with usual physical activities, tai chi appears to have positive effects on a wide range of thinking skills in healthy adults, such as attention, learning, memory, and perception. Tai chi uses slow, focused movements and involves learning and memorizing new skills and movement patterns. Tai chi is also well known to help improve balance, since it combines leg strength, flexibility, range of motion, and reflexes—all of the physical components needed to stay upright. 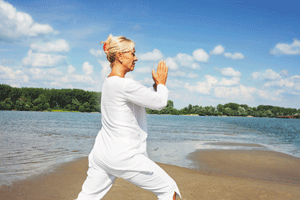 You can find tai chi classes through hospitals or at senior and community centers.